You are welcome to stay at New Norcia in your caravan or motor home. We have five overnight stops with power and basic shower and toilet facilities at the New Norcia Roadhouse. We also have designated areas available for self-contained caravans. During business hours information and bookings are available at the Roadhouse. After hours information and bookings should be made at the Hotel. 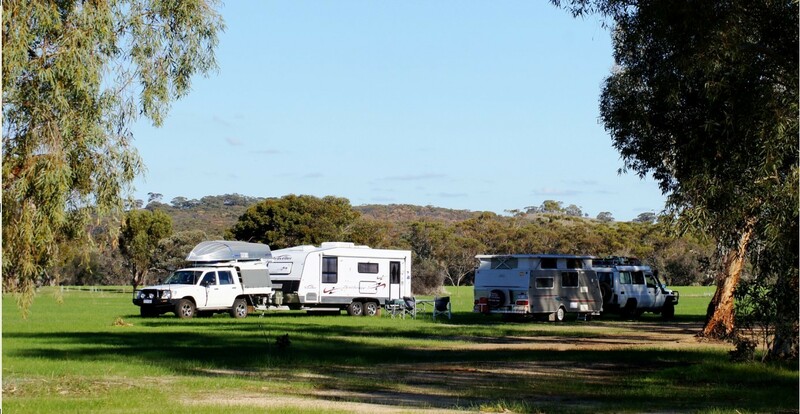 Many caravan clubs have discovered New Norcia as a unique place for a rally. Designated camping areas are available, however powered sites are limited. Due to legislative restrictions powered sites cannot be pre booked. A common room can be hired at an additional cost. Additional guests are $5.00 extra per night. Children under 5 years are free of charge. $10 caravan with 2 people for an unpowered site at the Roadhouse or beside the football oval. Showers available at the roadhouse, fee applies. No parking or camping allowed on the football oval.